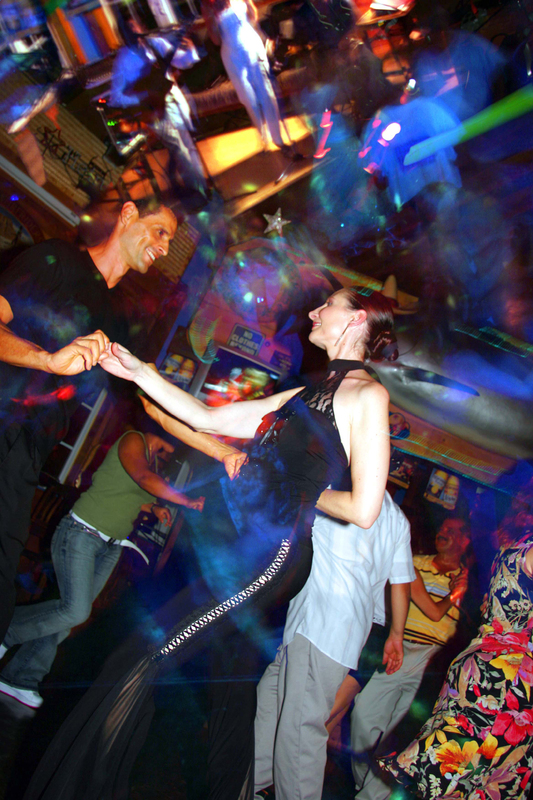 ALOHA & WELCOME to the Exciting World of Latin, Ballroom, Salsa, Swing, Club & Tango Dancing! 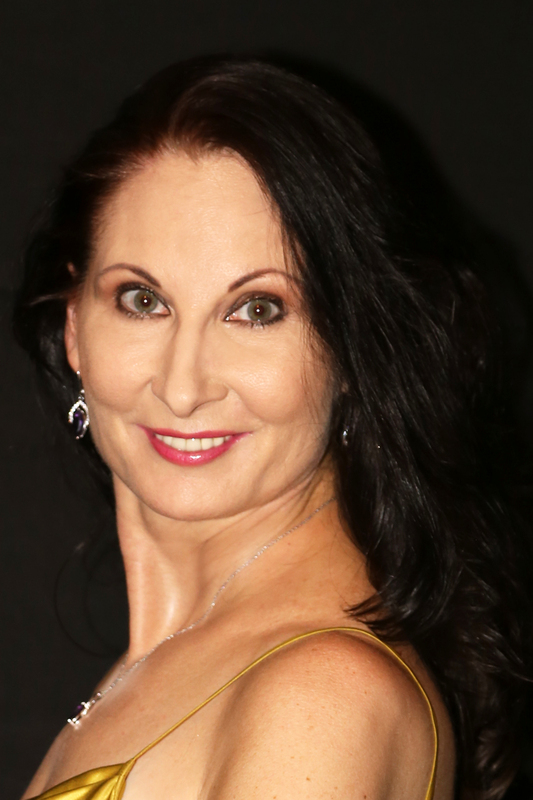 Rita O’Connor is Maui’s Trained Ballroom & Latin Dance Professional with almost 30 years of Ballroom & Latin Dance Teaching Experience from New York City to Maui! 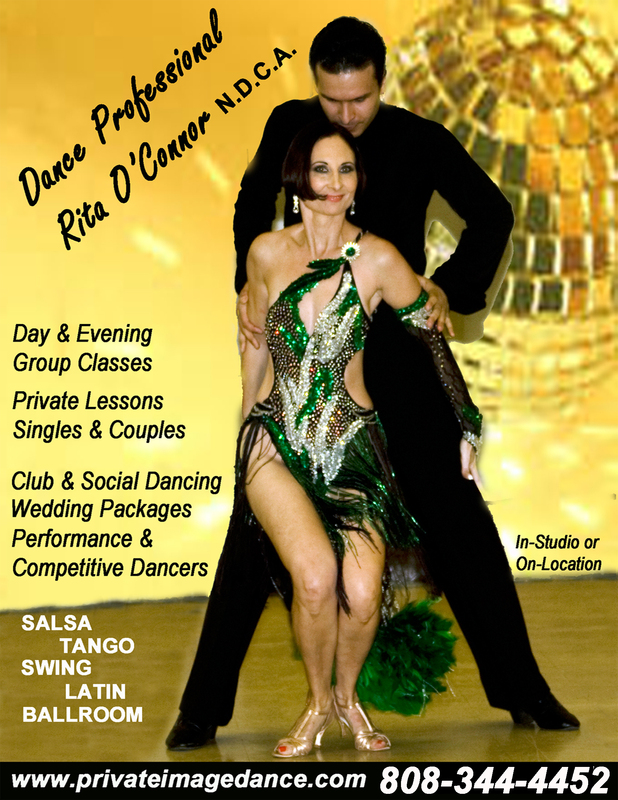 Rita is an accomplished Ballroom & Latin Dance Instructor, Pro-Am & Professional Competitor, Performer, Choreographer and Costume Designer dancing on television, MTV, instructional dance videos, and Maui’s Arts & Cultural Center in Ballroom, Latin, Swing, Salsa, Hustle and Argentine Tango! Rita invites you to experience the elegant, provocative and energy-driven world of Ballroom & Latin dance! Large group classes Wednesday evenings, small group classes Saturday daytime, private lessons throughout the week, Sundays complimentary dance lessons! Rita O’Connor (New York City to Maui) & Sergey Nekrasov (from Russia) PERFORMANCE – January 2010! Rita is Awarded FIRST PLACE @ West Coast Swing Teacher’s Intensive on May 14, 2011! Rita Featured Dance Professional at Maui Tangofest’s “Inspiration Del Tango” at Maui Arts & Cultural Center! http://www.kickstarter.com/projects/1042753710/for-the-love-of-tango Trailer (2:04 min) …More to Come! Find out more about Social dance parties, private lessons & small group classes for adults, teens & kids in social dancing, competitive coaching, performance choreography, “first dance” wedding preparation, coaching and more! Our mission statement: To provide private lessons & small group classes for adults, teens and children to help them become the best dancer they’ve ever dreamed of! Maui’s highly successful 501-c3 educational non-profit dance organization which was started in 2002 by Rita & Brian as means to “give back” to the people of Maui! The Academy makes charitable donations to organizations on Maui throughout the year. We’ve beat the Guinness Book of World Records for the largest dance class in the world (February 2007)! Our mission statement: To educate the public about latin & ballroom dancing through professionally instructed group classes and public performances! Read what others have said about Rita’s dance instruction and dance work on Maui! Rita considers herself a “Dream Maker.” She views her teaching as a means of facilitating people’s dance dreams. Her unique and special ability to get students on the dance floor and looking their best is noted by social dancers, wedding couples, competitors, performers of all ages! Learn more about Rita’s dance experience from NEW YORK CITY to HAWAII! Documenting many of her group classes, showcases, social and club dance nights out on the town and the many dance events and formal balls she hosts, Rita gives you a taste of Dance on Maui! Find out who she’s dancing with and what’s happening on the dance floor! GIFT CERTIFICATES & PRIVATE LESSONS! Give the Gift of Dance – For all Seasons – For all Reasons – Any Denomination – Ask About our SPECIALS! SIGN UP for DANCE EMAILS from RITA! We welcome you to join our Dance Email List and find out more about the upcoming dance classes, social events, and club happenings on Maui!